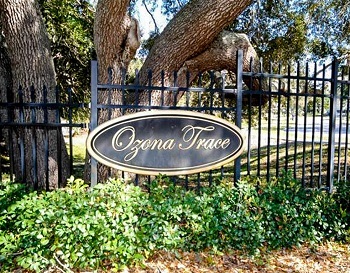 Ozona Trace is located in the quaint village of Ozona just outside Palm Harbor Florida. Noted for quiet streets, waterfront upscale homes and small town old Florida living, Ozona appeals to many people on different levels. Imagine living where you can boat, fish and swim along with being able to drive your golf cart all around this friendly village visiting many restaurants, schools, churches, marinas, the Pinellas Trail, and quaint shops. Ozona Trace consists of just one street called Bay Street with 12 lovely custom homes all centered round a cul-de-sac. The homes are substantial with over 3000 sq. ft. having 3, 4, and 5 bedrooms set on beautiful lots with grand old Oak Trees. Built in the early 2000s many of these homes have fireplaces, hardwood floors, granite countertops and more. Rarely on the market - should you see a listing here you are in luck - contact us quickly! Make sure your home is priced right! Contact us for a free no obligation comparable market analysis to determine current values. Ozona is a special town and we believe our services of selling homes are a cut above the rest! Let us showcase you home to be seen to the world through our high powered websites and social media marketing. We have the experience necessary to deliver a successful sale at the highest possible price.